Eastmont School District, encompassing approximately 150 square miles, is located in the geographic center of Washington State in the southwestern corner of Douglas County, 170 miles west of Spokane and 155 miles east of Seattle. It is a four season community with easy access to both wilderness and major metropolitan areas. 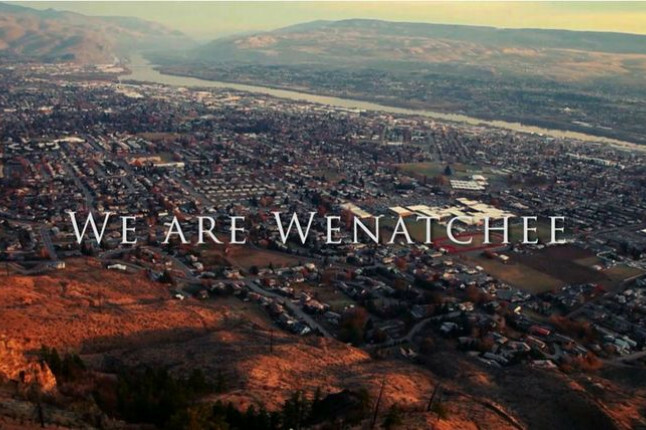 Check out "We Are Wenatchee" a video produced by Voortex Productions for the Wenatchee Valley Chamber of Commerce. This video was presented at the annual Chamber Banquet on March 6, 2014. East Wenatchee is located in the Wenatchee Valley along the east shore of the Columbia River. The climate and location provide unlimited outdoor recreational opportunities. Mission Ridge is a “world class” ski area located 30 minutes from downtown. Last year it had 116,000 visitors. Lake Chelan is one of many spectacular areas within an hour’s drive where families enjoy water sports and vacationing. Many people seek to live in our area for these reasons and for the quality of life here. The population of the region is about 75,000 people and continues to grow. East Wenatchee residents appreciate the community’s character, setting and climate; the region is famous for its natural beauty. The Apple Capital Loop Trail, a 10-mile pedestrian and bicycle path, meanders along the banks of the Columbia River, crossing the river at two points and connecting the cities of East Wenatchee and Wenatchee. 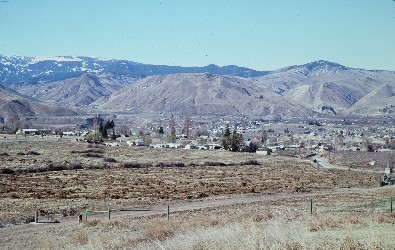 The City of East Wenatchee was incorporated in 1935. Native Americans were the earliest residents of the area. In 1987, the Richey Clovis Cache was discovered which yielded many artifacts dating back 11,500 years. The medical facilities available to the area are outstanding. Central Washington Hospital has been named one of the top 100 hospitals in the United States six times. The Wenatchee Valley Medical Center, as well as several medical clinics also supplies a wide variety of services. Wenatchee Valley College is a two-year liberal arts college located across the river in Wenatchee. Several four-year colleges offered a multitude of classes and degree programs here. 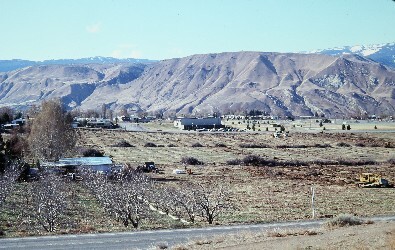 The title “Apple Capital of the World” was bestowed on Wenatchee many years ago as agriculture has been the area’s leading industry for over a century. The Washington State Apple Blossom Festival, held the first weekend in May each year, is one of the top ten festivals in the nation. From its foundation in agriculture, the region’s economy has diversified to include year-round tourism and a variety of industries. Yahoo is just opening a data center here that will help operate the company’s online services. Their company officials touted the business-friendly environment, low-cost power, high-speed fiber-optics network, dry climate and educated work force for luring them to our area. The Wenatchee Valley Mall, located in downtown East Wenatchee, has over 40 stores including Macy’s and Sears. East Wenatchee is famous for the landing site of the first non-stop Trans-Pacific flight in October 1931, when Clyde Pangborn and Hugh Herndon touched down from Misawa, Japan. Today, Pangborn Regional Airport has service to and from Sea-Tac Airport four times a day. With four distinct seasons, 300 sunshine-filled days a year, a river running though town and mountains so close you can almost touch them; the Wenatchee Valley and the Eastmont School District are a great place to call home. Below is an incomplete history of Eastmont School District's facilities and grade configurations. If you have any pictures or stories, let us know so we can post them. EHS Ground Clearing Photo 1 and Photo 2 - Photos provided by Mason. Photos are also shown below. EHS Ground Clearing in 1979. Photo provided by Ron Mason. Hours: 7:30 - 4:30 on Monday - Friday.